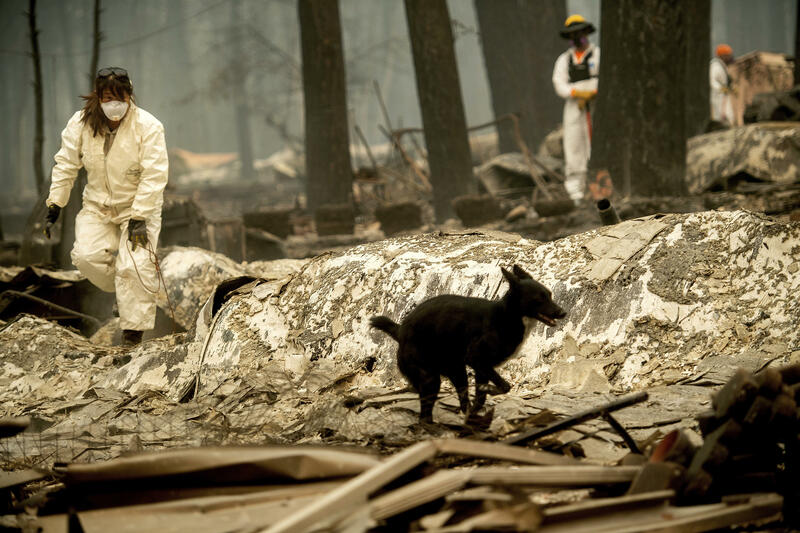 Search and rescue workers look for bodies of Camp Fire victims at the Holly Hills Mobile Estates on Wednesday, Nov. 14, 2018, in Paradise, Calif. Hundreds of thousands of acres burned, fire tornado, cities destroyed, 86 dead. These are the types of news headlines coming from California as the state continues to experience faster and bigger blazes and the data is pointing to changing climates as being part of the reason for these mega fires. This week the Washington Post published a multi-media web series focusing on both the Carr and Camp fires. NSPR’s Sarah Bohannon spoke Zoenne Murphy and Chris Mooney who reported the series. Sarah first asked how the project got started.